Signs like this are coming down along a 34 mile stretch of the Kalamazoo River. 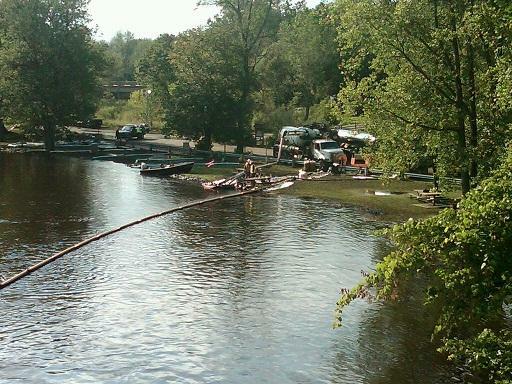 Since then, much of the river has been closed to the public, as crews have worked to clean up the oily mess. But today, state and federal officials announced 34 miles of the Kalamazoo River are being reopened to the public. Morrow Lake is also being reopened to the public. "The long wait to open most of the oil-damaged Kalamazoo River is now over -- just in time for summer," said Susan Hedman, EPA Region 5 Administrator. "EPA will remain in the Marshall area until the cleanup is completed." There is a small portion of the river still off limits, particularly in the Morrow Lake delta area. A large amount of submerged oil remains on the river bottom. 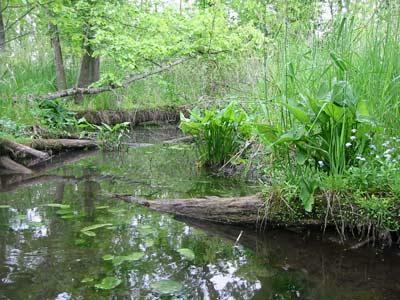 People using the river may notice an oily sheen on the Kalamazoo River. Officials say the sheen may be from the Enbridge oil spill, but is just as likely to come from other sources, like motorboats or environmental sources. Health officials say the remaining oil from the Enbridge spill may cause skin irritation, but otherwise does not present a serious health threat. Officials from the U.S. Environmental Protection Agency briefed people at a meeting last night in Battle Creek about the continuing clean-up of the Kalamazoo River oil spill. EPA officials say they've finished cleaning up 50 sites in the river.